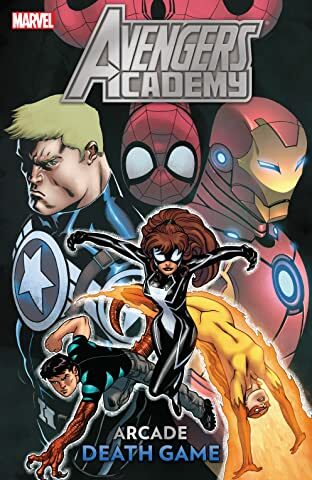 Collects Avengers Academy Giant-Size #1, Marvel Team-Up (1972) #89 and Spider-Man (1990) #25. 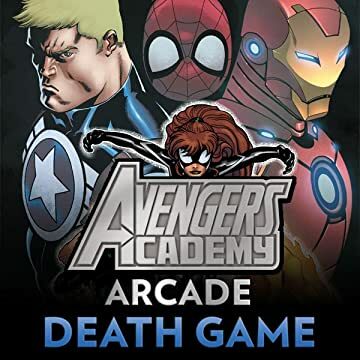 The traps are set and the dice are rolled as the vibrantly villainous Arcade decides to rebuild his tarnished reputation - by setting his sights on the "easy pickings" of the Avengers Academy and the Young Allies! But when one of his teenage victims escapes, is it a setback for Arcade or all part of a master plan to transform the entirety of New York into...Murderworld? Plus: Spider-Man, Nightcrawler and Excalibur fight for their lives in two classic tales of Arcade-style madness!